A Salvadoran communication worker's recent murder is directly linked to his work, according to communications groups that have called on the government for a thorough investigation of the crime and protection for media workers. Radio worker Nicolás Humberto García, who worked at community radio station Expressa in Tacuba, Ahuachapán in western El Salvador, was killed by gang members on the night of March 10 while walking to his radio station, according to a press release from several Salvadoran communication associations. 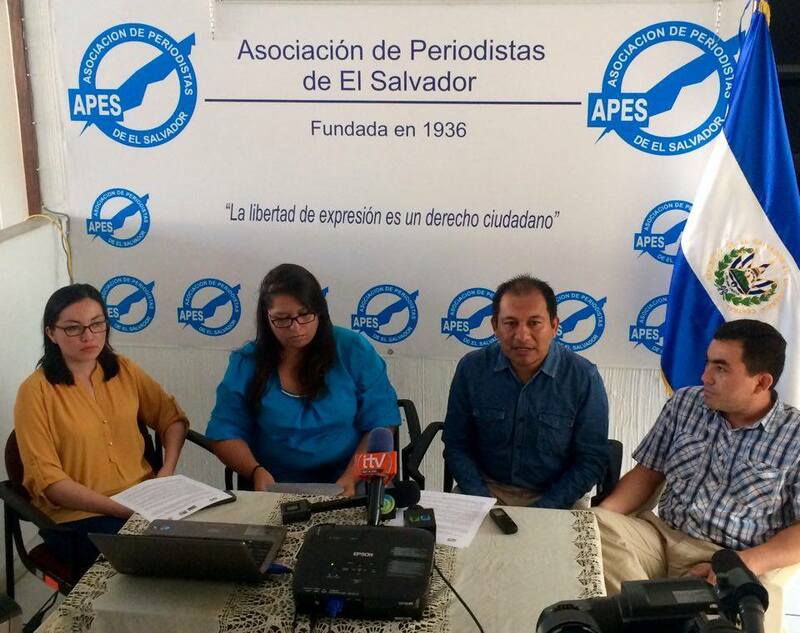 The statement, signed by the Association of Journalists of El Salvador (APES), Association of Radio and Participatory Programs of El Salvador (ARPAS), Association of Journalism Students (AEP) and Collective of Popular Communication, was released following a press conference held on March 17 at APES headquarters. The organizations insisted that García, 23, “died because of his job as a communicator." Police have said that gang members are responsible for the murder, but no arrests have been made, according to La Prensa Gráfica. The communication associations asked the Attorney General for a diligent investigation, for greater presence of the National Civil Police in the area to ensure safety for communicators and for the Legislative Assembly to pass a bill for the protection of journalists. “APES asks journalists and communicators to join in discussion about legislation for protection of journalists,” Valencia said, as reported by El Blog. Serafín Valencia, president of APES, said at the press conference that at least three murders of journalists have been recorded in the last 12 months, according to the organization’s Twitter account. According to APES, the other journalists were Luis Alonso Rosa and José Manuel González. Rosa, a sportscaster, was killed in San Miguel in April 2015. González, a coordinator for social communications at Central American University, was killed in December 2015. On March 22, the Office of the Special Rapporteur for Freedom of Expression at the Inter-American Commission on Human Rights condemned García's murder and called for a thorough investigation, including the hypothesis that his death could be linked to his work.